Out of print. This pattern was available for $3.00. 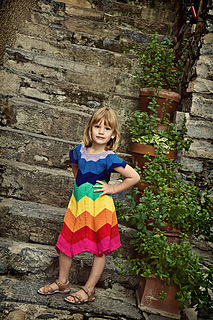 HALF PRICE SALE - get 50% off when you buy 2 or more patterns. Add items to your cart the 50% comes off at checkout. The Ava tunic is a comfortable and very funky tunic. It can be worn as a shirt in the summer or as a vest in the winter, make it longer and it is a great dress and if you bind the bottom together it would make a great sleeping bag for a bed sheet tangling 18 month old. You can achieve a number of effects just by changing the yarn. 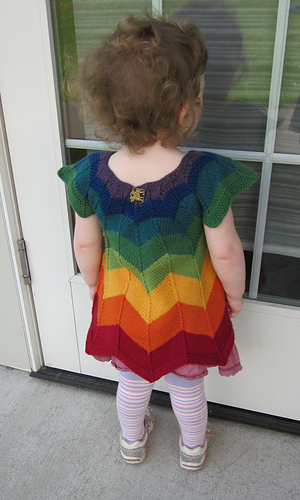 The chevron (zig-zag) pattern is perfect for showing of some special sock that is too cute to hide in shoes. 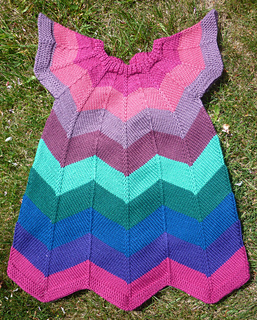 Chevron stitch is particularly good for stash busting and has a nack for combining yarns that you thought you might never get rid of in an unexpectedly pleasant way. 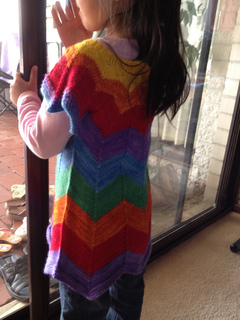 This pattern uses short rows which are explained in full.